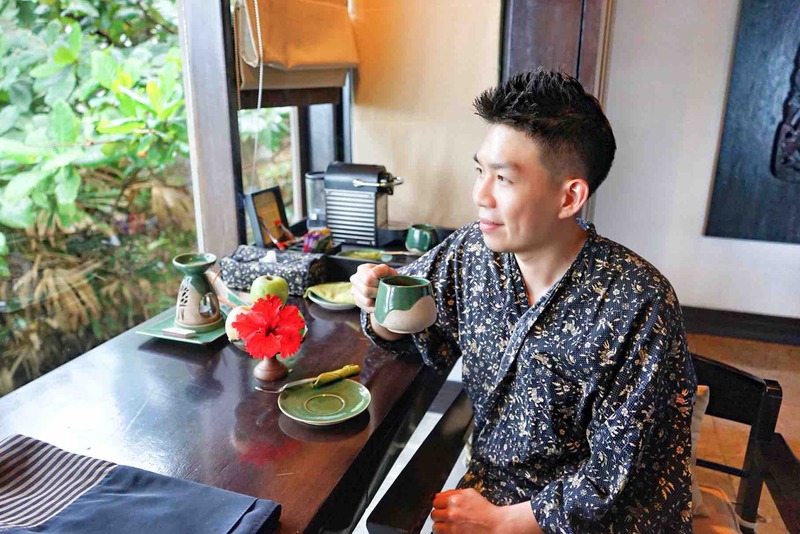 My experience at Banyan Tree Bintan was unforgettable. It was hard to imagine such paradise exist just a short boat ride away from the bustling Singapore city. The service was impeccable and we really enjoyed our ‘urban detox’ over a short weekend getaway. Wondering if Banyan Tree Bintan was a ‘one hit wonder’, we cheekily decided to seek an ‘affirmative’ stay at another Banyan Tree property. 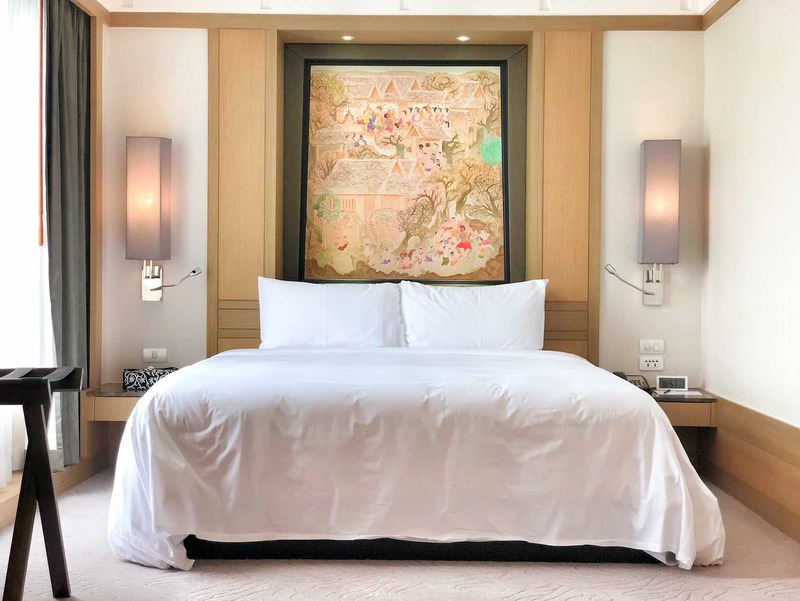 Banyan Tree Bintan was able to provide the ‘away from it all’ experience from Singapore but can Banyan Tree Bangkok stands up to its promise as the Oasis in the middle of the hustle and bustle of Thai Capital? 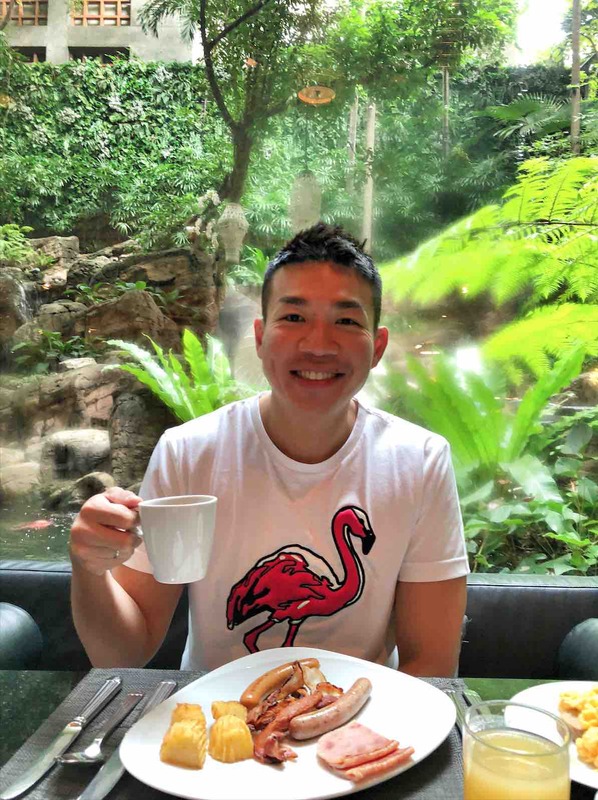 Sip your tea and follow us on our next Banyan experience! Folks who are familiar with Bangkok city would know how convenient it is to stay at the Sathon and Silom area where you can end your evenings with a night market shopping and traditional Thai massages. 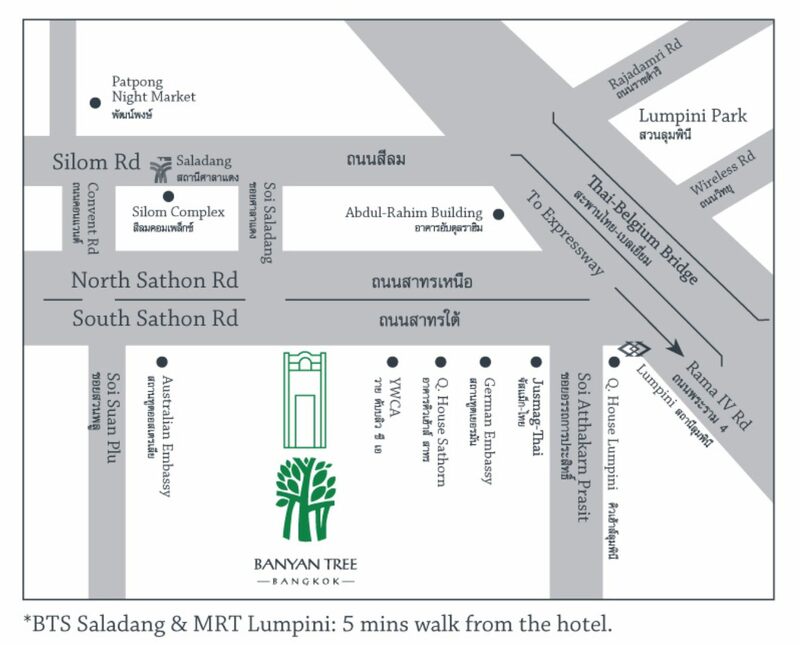 Banyan Tree Bangkok is well placed in the relaxed Sathon neighbourhood and it only takes a 10-minute walk to get to the popular Silom area. 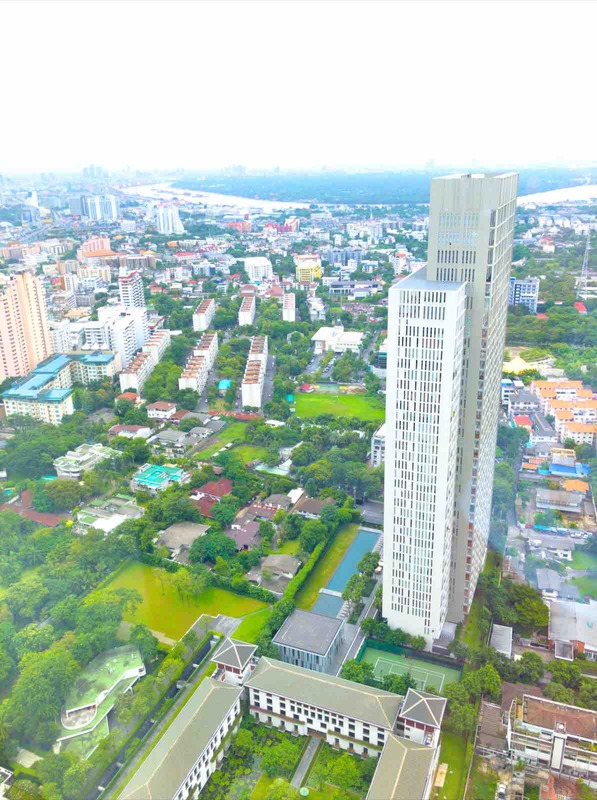 Banyan Tree Bangkok is just 45 to 60 minutes (35 kilometres) from the Suvarnabhumi International Airport (BKK) airport by car, van or hotel limousine while Don Mueang Airport (DMK) is much closer at around 30 – 45 minutes (28 kilometres). 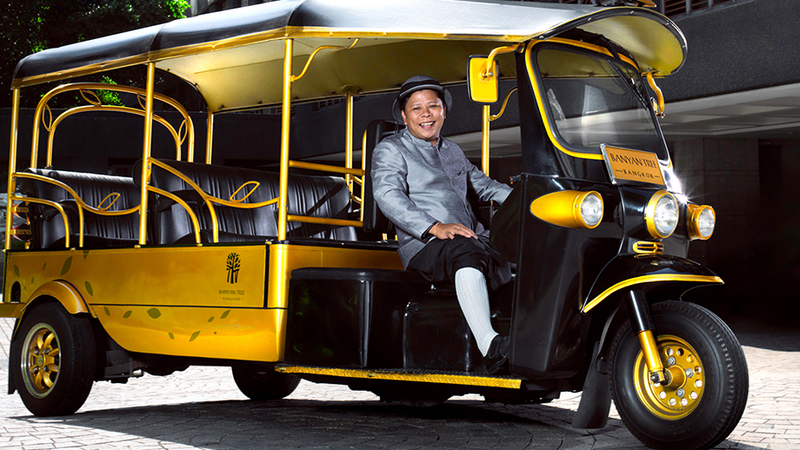 The hotel offers Tuk Tuk service to BTS Saladaend Station (5 minutes away) & MRT Lumpini Station (10 minutes) which basically connects you to anywhere you need to go. For anywhere else, you have your trusty Grab app or just ask the hotel reception to get you a taxi. 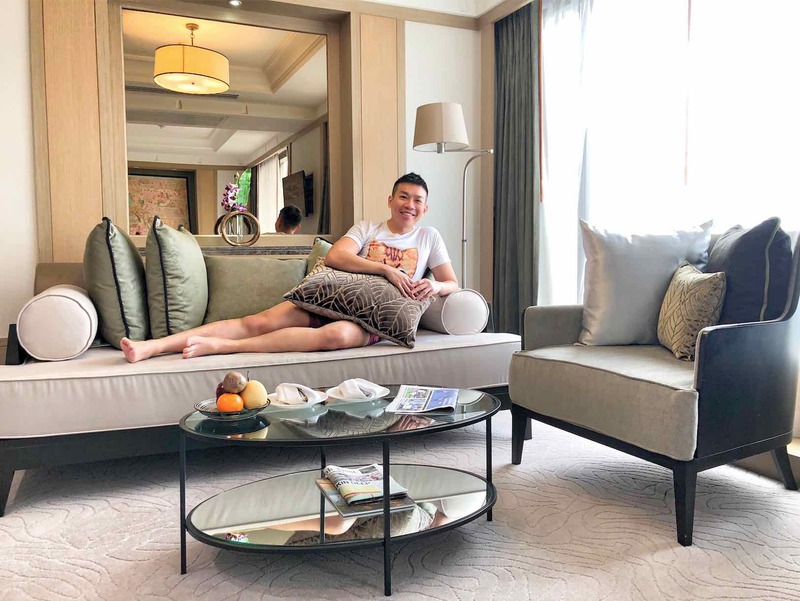 As we were staying in one of Banyan Tree Bangkok Serenity Club Room, we had the privilege to do our check in at the Club Lounge. 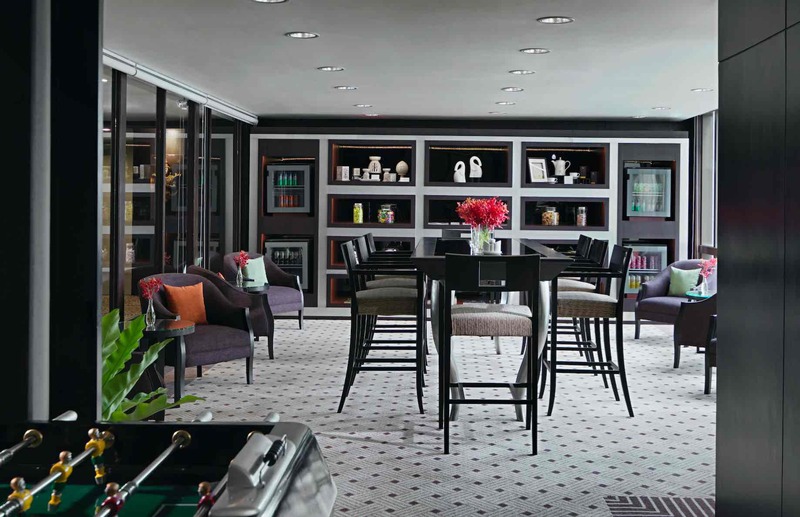 Located on the 19th floor, the Club Lounge is reserved for the exclusive use of guests who reserve the Serenity Club, One Bedroom Suite, Spa Sanctuary, Two Bedroom Suites. 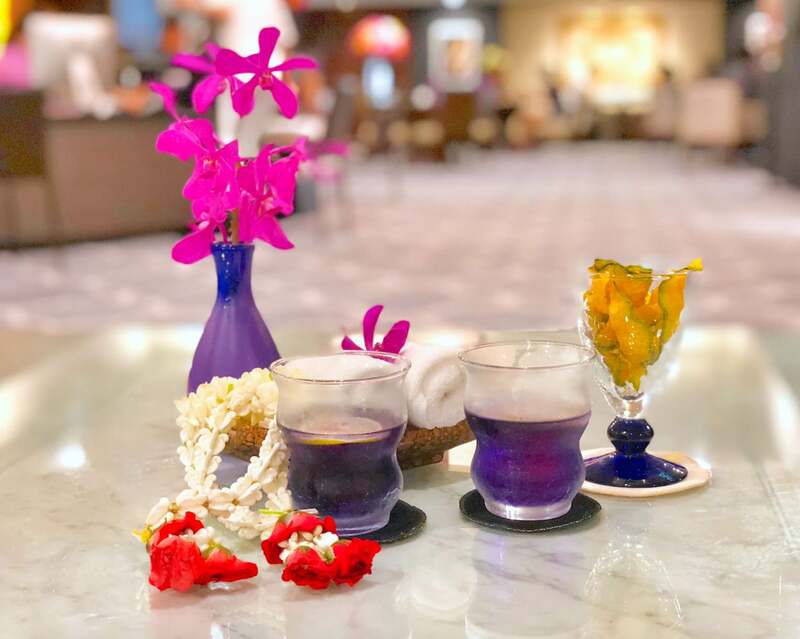 While waiting for the check in, we were offered welcome drinks, snacks, as well as a fragrant garland which calms us down from our journey and got us ready to embrace all that the hotel has to offer. Our friendly customer service officer was friendly, quick and efficient. Before we know it, we were guided to our room with our luggage on their way! 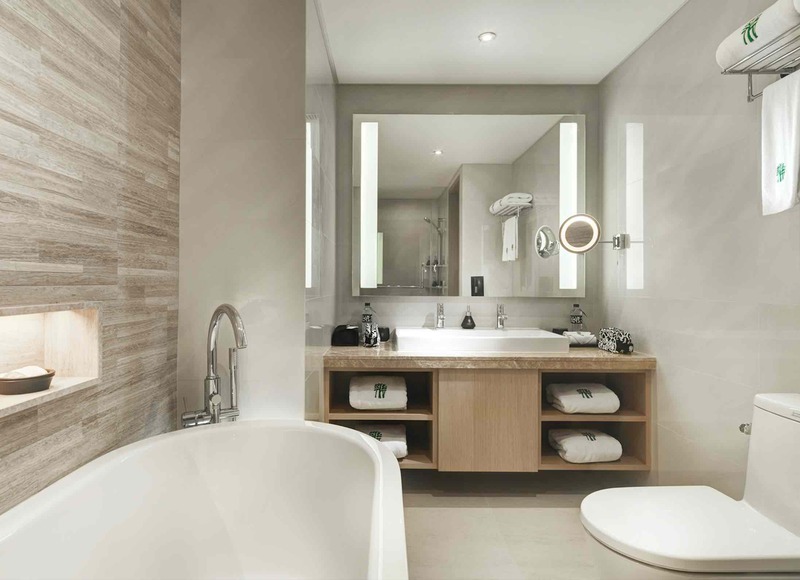 There are 325 exquisitely furnished rooms and suites ranging from Horizon, Oasis Retreat, Serenity Club, One and Two Bedroom Suites, Spa Sanctuary Suites to Presidential Suite. All of them are tastefully designed to showcase the essence of Thai heritage fused with modern amenities to pamper the senses. 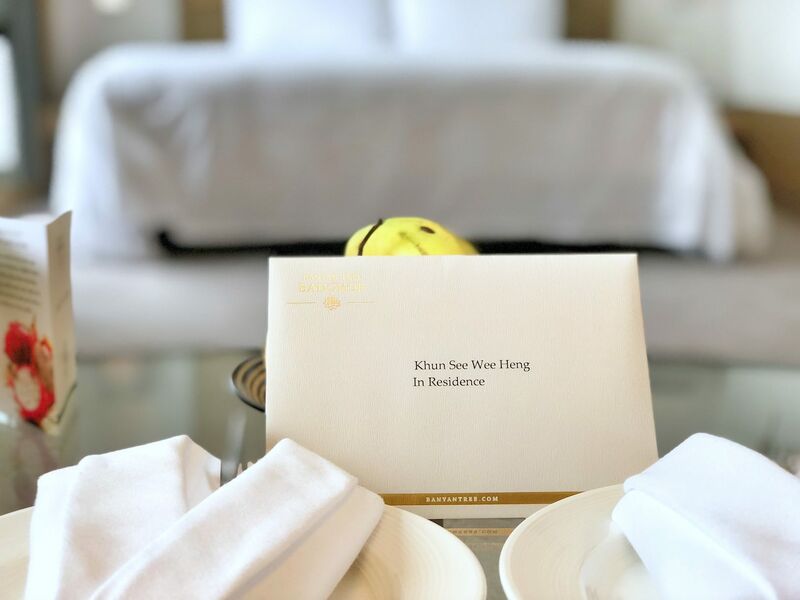 One of the key reasons why we adore Banyan Tree is because of their thoughtfulness and attention to details. From check in to the moment we stepped into the room, everything has been so personally addressed. Located on the 56th floor, our 48 square metres Serenity Club room with King size bed offers a spacious and relaxing abode from the noise and distractions from the busy cityscape. Right across the bed are comfortable couches to laze around, watch tv or catching up on some reading before heading out to the streets. 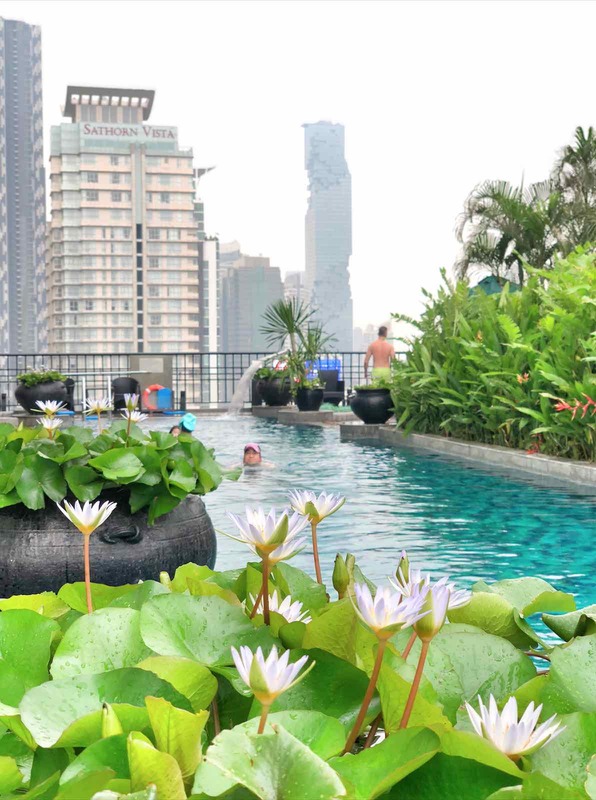 Depending on your preference, you can opt for a room that offers stunning views of the Bangkok skyline or the Chao Phraya River. We went for the latter so we can wake up to the magnificent view of the mighty Chao Phraya River meandering across the city in the distance. We love that our room comes with a bathtub completed with bath salts and lotions to melt away tiredness from our limps at the end of the day. Other than being able to check in at the Club Lounge, our Serenity Club Room also allowed us to enjoy our complimentary buffet breakfast, non-alcoholic refreshments, light snacks, and free-flow of local beer at the Club Lounge. We can also enjoy complimentary use of the boardroom for up to three hours per stay which is great if you are planning for a corporate retreat. You should not be surprised that Banyan Tree Bangkok is a wine and dining attraction in the Thai Capital too. 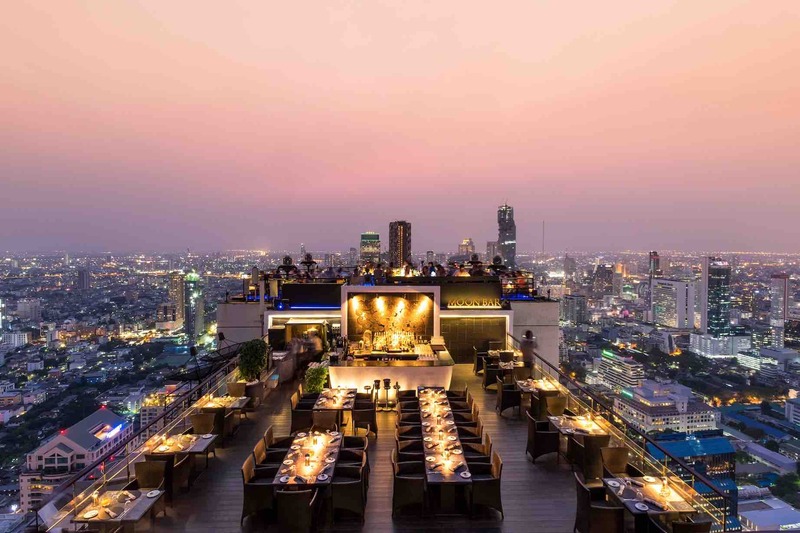 Perched 61 storeys above the bustling streets of Bangkok, the famous al fresco Vertigo Grill and Moon Bar serve a stunning 360-degree panoramic view of the city with its delicious food and drinks menu. 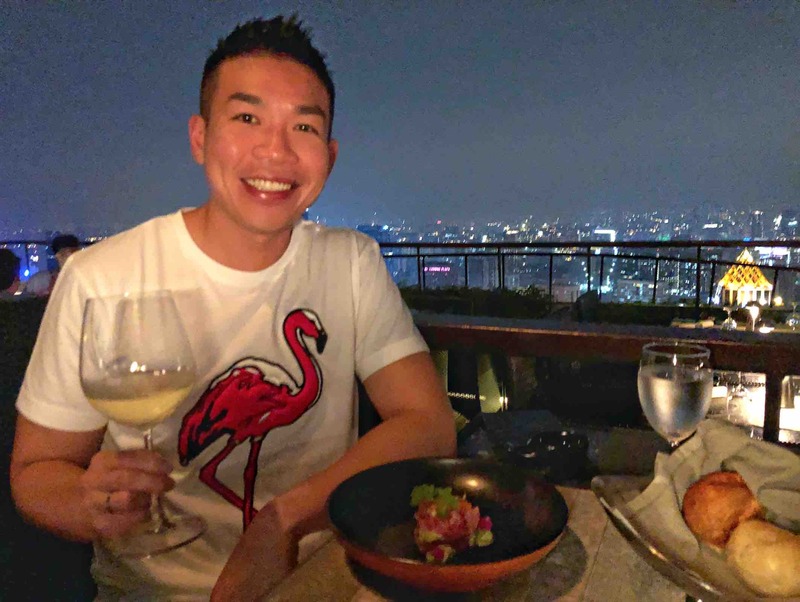 I have always thought that having a drink at rooftop bars would offer an adequate experience (after all its about the view and not the food right?) whenever I travel to a new destination. But a full course dinner at Vertigo Grill and Moon Bar changed my perspective. 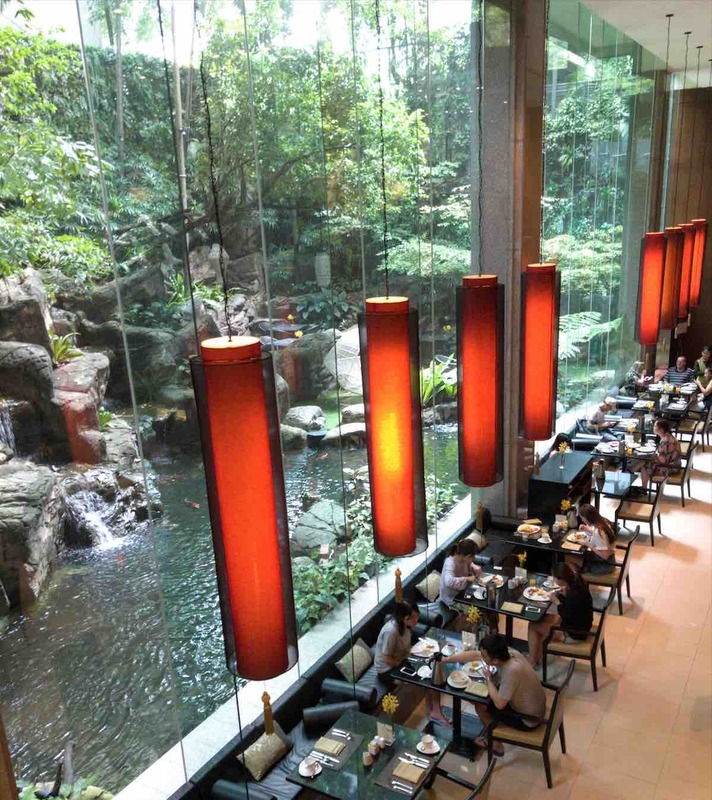 The experience of slowly savouring fine cuisine with an amazing view makes it totally worthwhile. 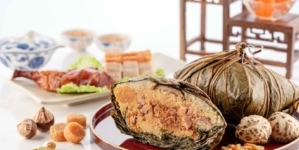 Signature Banyan Tree restaurant Saffron offers innovative Thai cuisine and Southeast Asian specialties. 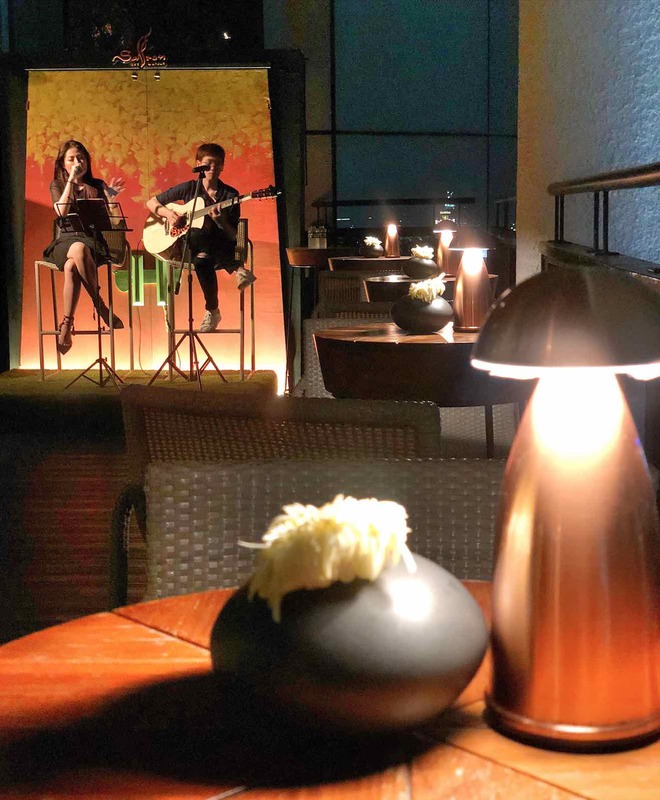 We recommend that you start your evening with an evening cocktail, live band and take in the stunning view of metropolitan Bangkok at Saffron Sky Garden on the sky deck on the 52nd floor before heading for your Saffron dinner. For folks who prefer a more extensive Asian or International offering. 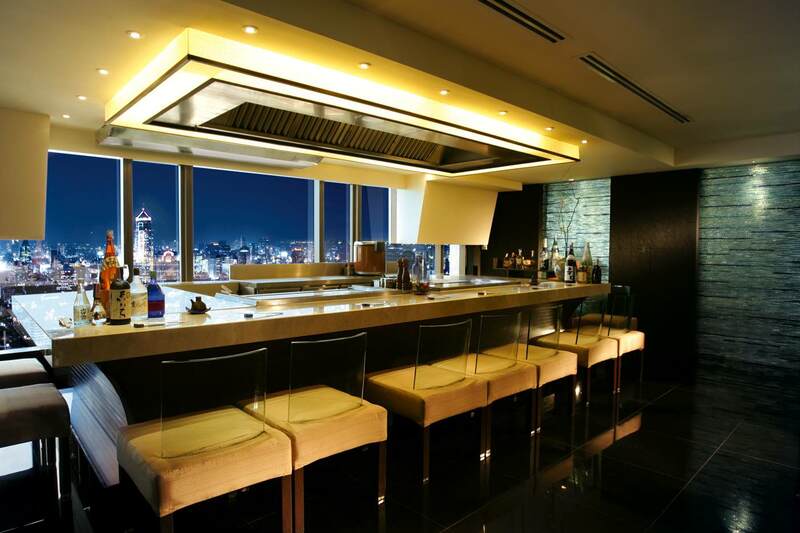 There is also a Japanese restaurant Taihei that serves fine Japanese dining as well as teppanyaki with a view as well as Bai Yun, an innovative nouvelle Chinese cuisine restaurant on the 59th floor. Romsai combines sleek and contemporary with delicious international culinary delights. 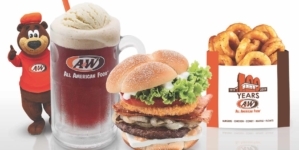 Goodies provide a full range of sandwiches, pizzas, salads, deli products, pastry & bakery items and ice creams. Apsara is the hotel’s elegant teak rice barge operating along the mighty Chao Phraya river, with dining and drinks cruises. Lobby Lounge for high tea and snacks in an elegant setting. 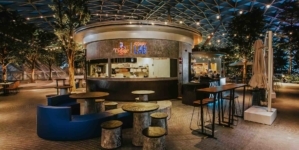 Juice Bar offers tasty light snacks and a good variety of beverages and energizing fresh juices. Of course, not forgetting the sumptuous breakfast you wake up to every morning. 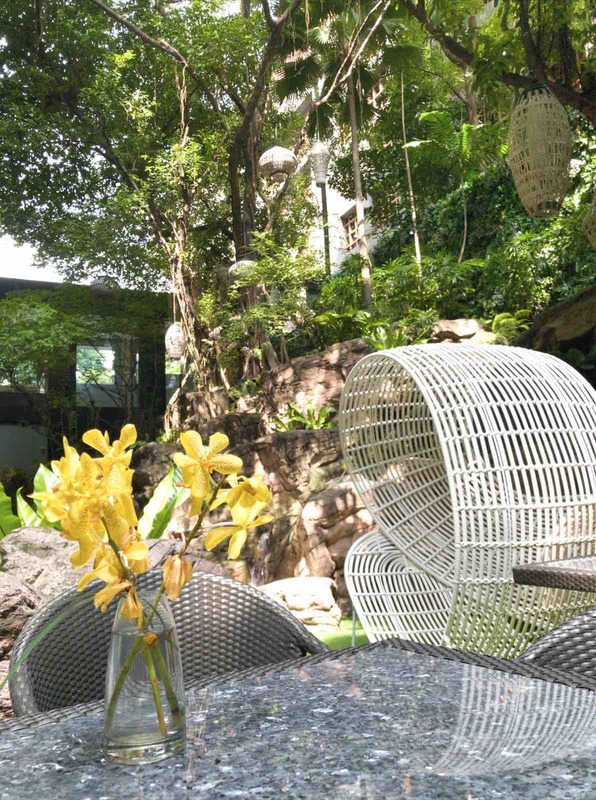 or embrace nature and dine at the beautifully curated outdoor garden. Despite being a relatively ‘urban’ Banyan Tree, Banyan Tree Spa strives to help you detach from the surrounding built-up environment by offering one of the city’s most luxurious spa experiences with a total of 16 well-appointed treatment rooms spanning three levels from the Spa reception at the 21st floor to the 19th floor. 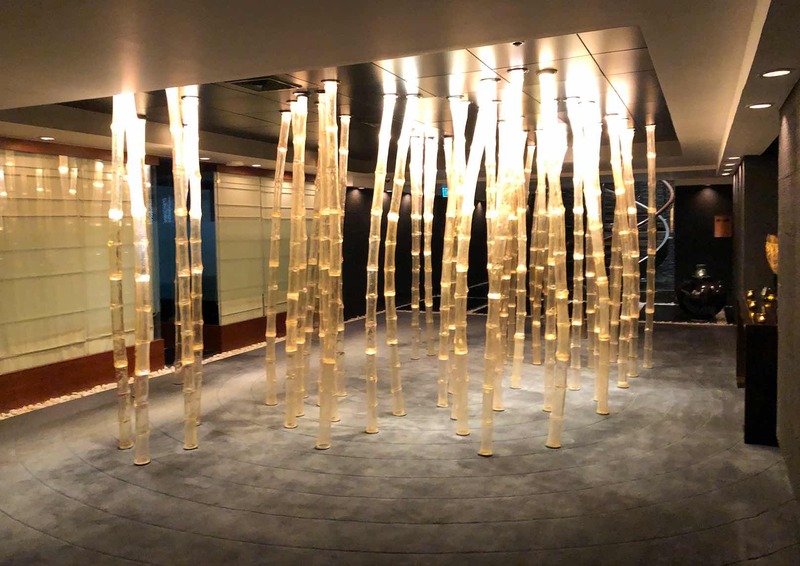 You will be cleansed of all earthly worries after you make your way through the gorgeous bamboo lane. Indulge in signature spa packages, rejuvenating massages and pampering beauty and hair treatments delivered by Banyan Tree Spa’s professionally trained therapists. 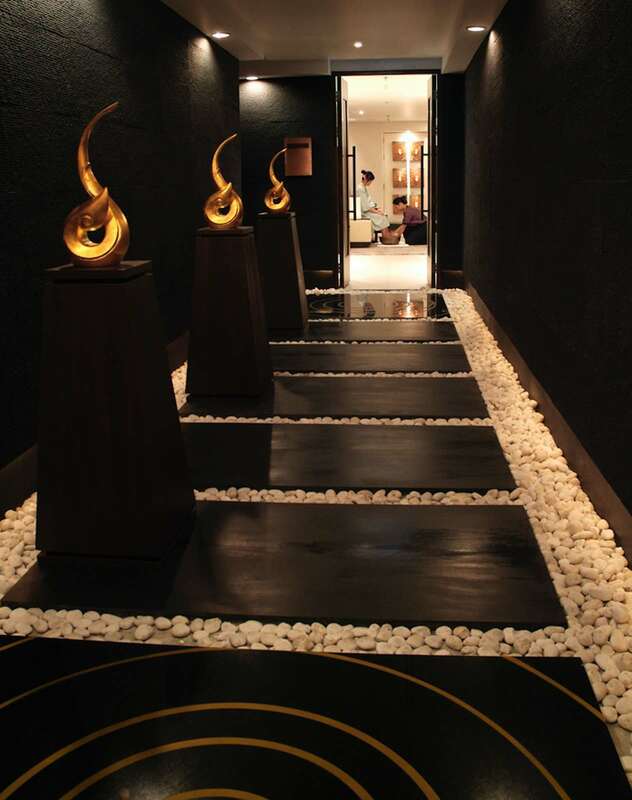 As the pioneer of the tropical garden setting, Banyan Tree Spa focuses on the ‘high-touch, low-tech’ approach that celebrates the use of natural ingredients. Banyan Tree Gallery complements the experience as a socially responsible tourism retailer, offering apparel, handicrafts, eco-friendly products, furnishings, jewelry, and Spa-inspired collection. 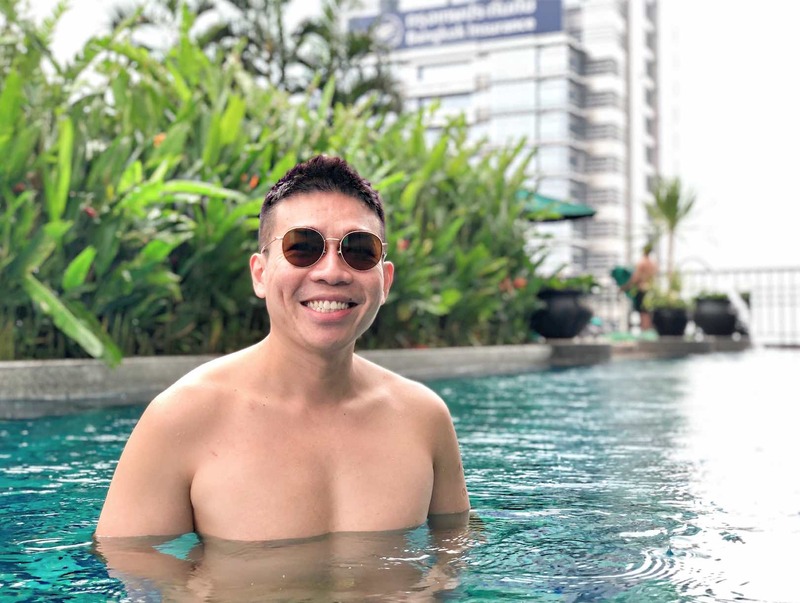 We spent so many hours chilling out at our Banyan Tree Bintan Resort pool but I am afraid we could not dedicate the same amount of time to Banyan Tree Bangkok beautiful pool. 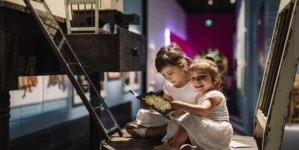 There is just so much to see and do in Bangkok city! Nevertheless, we spent a relaxing morning soaking in the pool before checking out for the airport. 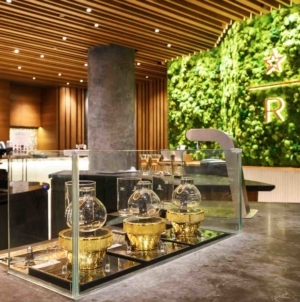 Overall, the ‘urban’ version of Banyan Tree experience did not disappoint. 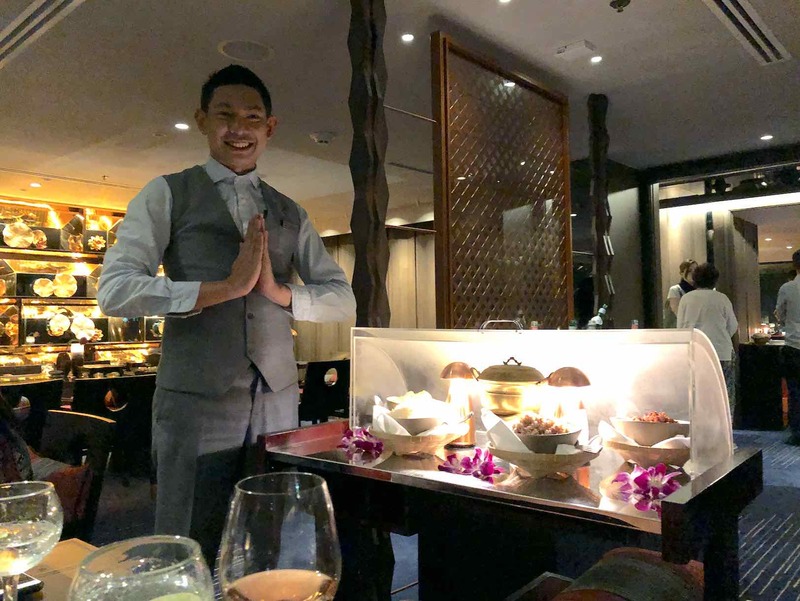 The service level as always is impeccable and we were really impressed by the additional efforts put in place to make us feel they are in a relaxing resort rather than smacked right in the busy heart of the Thai capital. 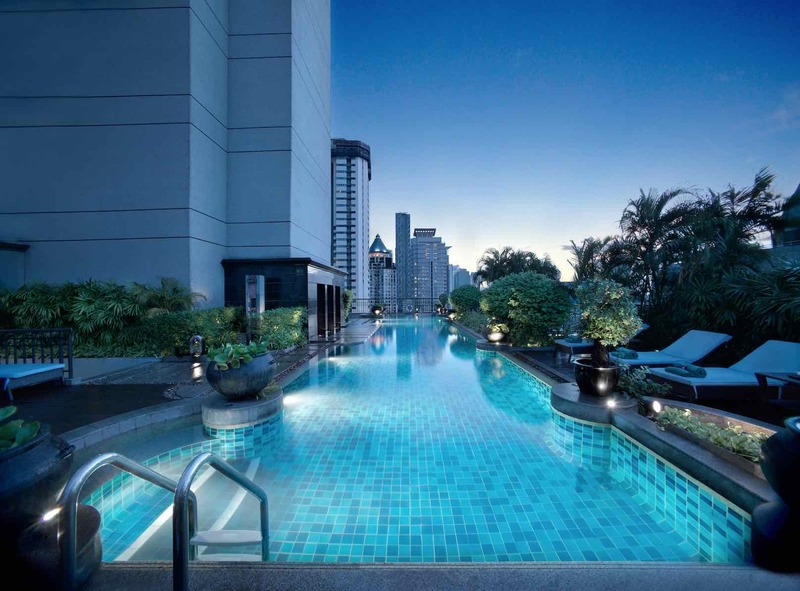 Banyan Tree Bangkok is one of the rare gems for folks who demand both a relaxing resort experience while embracing urban indulgence on the same getaway.